Joe, Mike, Nick, and Sean join to discuss a little news then dive into talking about the history, past, present, future, and our opinions of Islands of Adventure on it's 15th birthday. Another week, another NBC related Diagon Alley sweepstakes, this time for the Tonight Show. From May 26th-June 6th you can enter online to win the trip to the VIP event June 16th-20th. Here are the details. You can enter daily between May 26th - June 6th. To enter you must register, then "answer a question", this time being what song the house band The Roots plays for the intro of the first guest. Just as with Today, the answer does not affect the chance of winning, so you can answer incorrectly. 22 winners will be picked in 21 different major media markets. The last winner will be picked from the remainder of the USA. Winners can bring along one guest. To enter visit the official homepage starting May 26th. Good luck, and we hope to see you at UOR! One of our little owls happened to drop this in our chimney today. 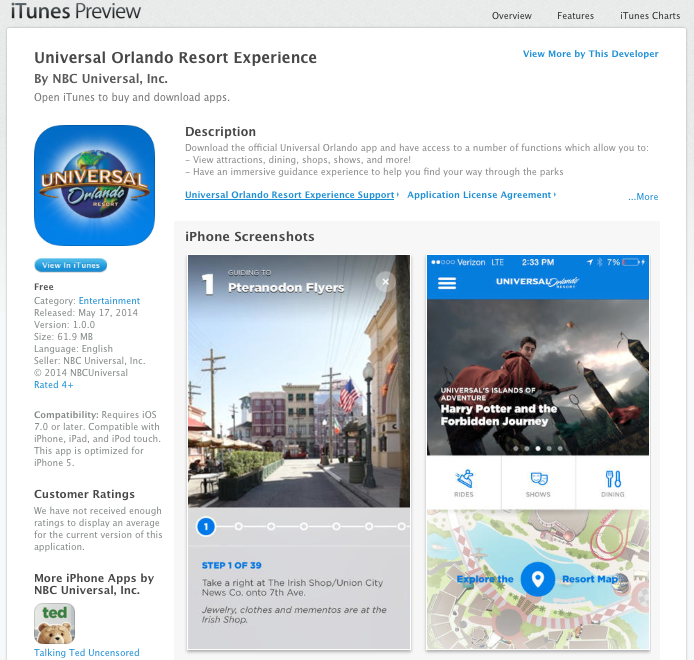 Universal Orlando's new app went live for a short time last week, and our intrepid owl managed to get the Google cache of it for us. The new app was developed in house at NBCU, instead of by a third party like the last horrible app. It will provide wait times, attraction and dining information, and the app description also teases "hidden surprises" around the parks! Wonder what that could mean? The Google cache can be found here, and as always follow @Parkscope for more details as they're released. Well, busy day on the permit sites today, as another bit of information has come our way thanks to the Orange Country Comptroller site. Seems that Portofino Bay will soon become home to the second Starbucks location in a resort on Universal property, as you can see from the attached picture. As always, follow @Parkscope for more updates. Starting May 13th and running to the 18th, The Today Show will offer a sweepstakes to win the chance to go to the opening of Diagon Alley sometime in June. NO PURCHASE NECESSARY. Answer does not affect chances of winning. You are allowed one entry per day, per person/email address. 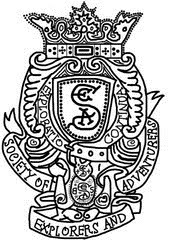 Simply go to this site and enter the sweepstakes once every day between May 13th and May 18th. Although the sweepstakes do not require a correct answer, we will be providing the clues and answers each day this week. 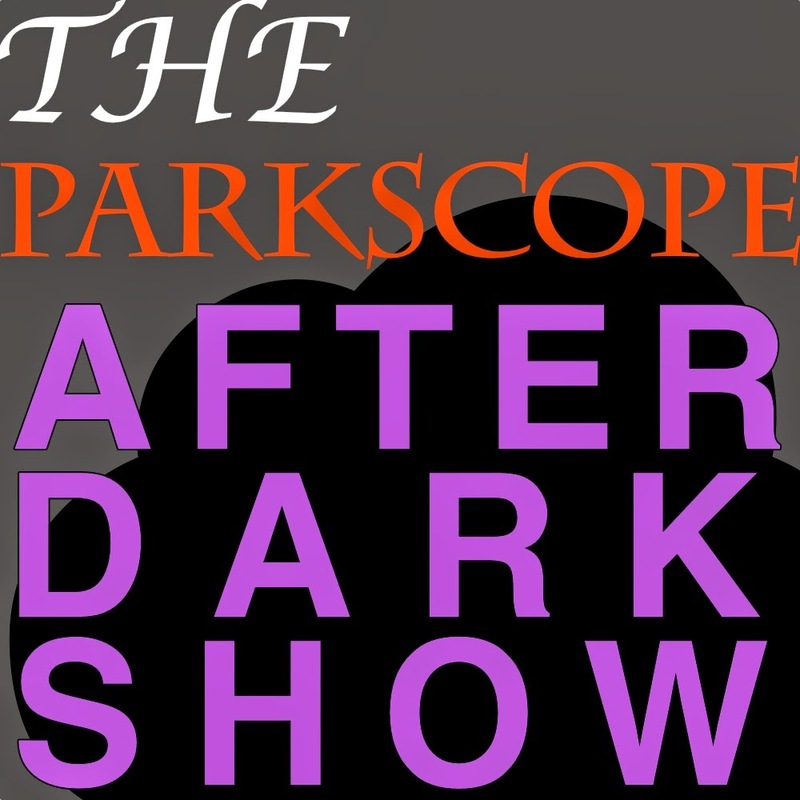 Parkscope After Dark Part 2: best sequel to a live podcast ever. Nominated for 2 Grammys, a Webby, 3 podcast awards, and a Woody. Universal Parks Blog, best IPs for a theme park, why Star Wars is problematic, and Paulie can't defend Frozen. Email us at parkscopeblog at gmail dot com or follow us at Parkscope, ParkscopeJoe, CaptMichael87, ParkscopeNick, Parkscope_Sean, and Parkscope_Baloo. Yesterday, the Today Show posted a video of Al Roker in the Gringotts queue. The internet was treated with a brief glimpse of the Goblins of Gringotts. Today, Universal posted a 27 second video of the Goblins, and the animatronics sure are impressive. Just like in the Harry Potter films, guests will enter Gringotts through an ornate marble hall surrounded by Goblins perched atop high counters. Goblins are not fans of humans (or anything but gold and armor, they are really unpleasant actually.) In the movies, the Goblins can be seen sneering and scowling as witches and wizards walk by. The Goblin animatronics appear to remain faithful to their cinematic counterparts. At the end of the hall, guests will be greeted by Bogrod who is shown in the video asking if we "would like to open an account?" Bogrod is the Goblin who Harry Potter casts the Imperius Curse on when he, Ron, Hermione, and Griphook break into Gringotts in Harry Potter and the Deathly Hallows. Universal and Disney fans alike never miss the chance to complain about Universal's lack of audio animatronics in attractions. They also complain about Universal's over reliance on screens. Gringotts appears to be the best of both worlds. A close analysis of the Today Show and Universal clips reveals that there are at least 6 Goblins in the queue line. There are presumably more that have yet to be shown. The reception of the Gringotts Goblins has been overwhelmingly positive on Twitter and Message Boards. However, there are still some theme park fans who seemingly cannot be pleased with Universal's animatronic efforts. Some criticisms are that the Goblins do not move realistically and that the heads seem "off." A rewatch of Harry Potter and the Deathly Hallows Part II may be in order for these people. The Bogrod animatronic is an accurate portrayal of the actor in the film. Furthermore, the Goblins do not move that much in the films. As mentioned earlier, they do not care for humans and really only care about money. In the queue, like the films, the Goblins are scowling, judging, and counting money. In my opinion, the Goblins are very believable and faithful to the films and source material. Another criticism is that the animatronics do not compare to "Disney's best", but I am not even sure what that means. Please tweet us or leave a comment of an example of "Disney's best" animatronics. 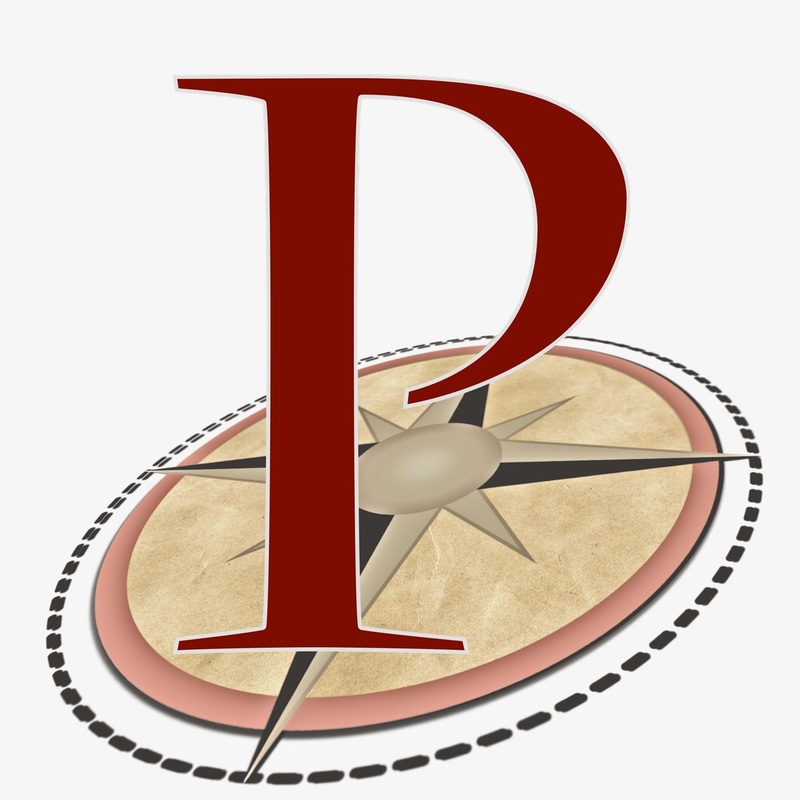 As always, please follow us @Parkscope on Twitter for up to the minute news on Diagon Alley.